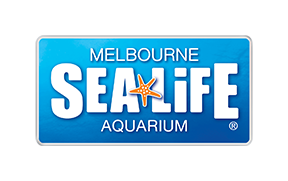 Simply bring your barcoded Melbourne Big Ticket that you received in your 2019 member pack (attached to the Melbourne Big Ticket flyer) to SEA LIFE Melbourne or LEGOLAND Discovery Centre Melbourne admissions desk before 30 November 2019. The ticket must be used at the first attraction before this date, and once scanned, will be valid for single entry to the second attraction within 90 days. Please remember that adults must be accompanied by a child to visit LEGOLAND Discovery Centre, and children must be accompanied by an adult.